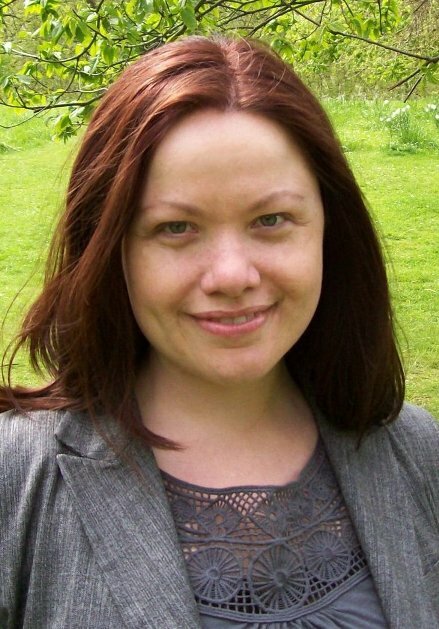 Who: Karen Mahoney, YA/UF author of The Iron Witch trilogy as well as the Moth Series. Karen is also a good friend and honorary Book Smuggler. Recent Work: Karen was super busy in 2012 with the release of The Wood Queen, the second book in the Iron Witch trilogy; Falling to Ash, the first full length novel in the Moth Series; as well as starting a very cool webcomic following Moth’s adventures: Moth Tales. Karen is here today doing a joint review with Ana, please give it up for Karen, folks! Can Lord Peter Wimsey prove that Harriet Vane is not guilty of murder–or find the real poisoner in time to save her from the gallows? Ana: And now, for something completely different. We invited Karen Mahoney as a Smugglivus guest and when brainstorming about content, we decided to do a joint review. 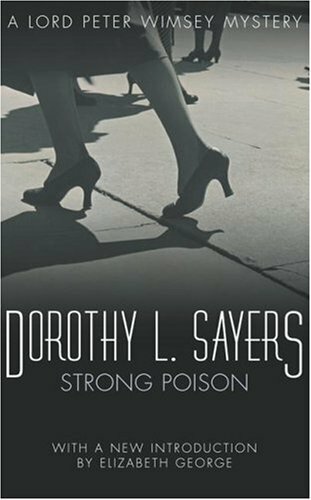 We picked Strong Poison for two reasons: we were both in a historical crime fiction mood and because I had been told that Strong Poison was the place to start with Dorothy L. Sayers’ Lord Peter Wimsey series. The reason why this is the place to start is the fact that this book features the start of a romantic relationship between its main character and a woman – a mystery writer – named Harriet Vane. In a way, it is actually really funny that we picked up a crime novel because of its romantic storyline. And after reading it, I can totally understand why so many people love this. In fact, I fell so hard for Strong Poison as well as the Wimsey-Vane relationship that I went on an obsessive binge and read Have His Carcase, Gaudy Night and Busman’s Honeymoon in quick succession. I can honestly say, without a shadow of a doubt, that these books are now some of my all time favourites. Kaz: I must just interject here and say that ANA was actually the one in the mood for historical crime fiction. All I said to her while we were book-shopping in Foyles was: “I feel like something different. I’ve been reading tons of urban fantasy and paranormal romance and need to branch out a bit.” I’d just come off the back of a crime and thriller kick, before losing myself in UF/PR again (and am now onto contemporary YA, just as a point of interest – I know! Ana probably can’t believe that because I don’t read much contemporary YA). So the idea of some classic detective fiction appealed to me as something COMPLETELY different. I can honestly say that I didn’t expect to love this book as much as I did, and am so glad that I kept an open mind. Thanks, Ana! Ana: So. Strong Poison. The main investigation concerns mystery writer Harriet Vane who has been arrested for the poisoning of her former lover and all signs points to her being guilty. Except Lord Peter Wimsey – a gentleman detective and the main character of this series – is 100% sure she is innocent. Also, he falls in love with her at first sight and is determined to prove her innocence so that he can marry her. If she will have him. The story progresses as Lord Peter sets out to investigate the circumstances of Harriet’s former lover’s death and although this is a nice cosy mystery storyline, I can’t really say this is the most distinctive aspect of the novel. I actually correctly guessed the murderer, the motive AND the “how did he do it” in no time at all. [Kaz: I didn’t guess it for ages. Clearly, you are far more of a sleuth than I…] No, the most distinctive aspects of the novel are everything else about it: the characters, the writing, the humour, the metatext, the subplots, etc. All that said, I’d like to concentrate on three aspects of this novel (which are applicable to the series as a whole) that struck me the most. Kaz: I absolutely agree with Ana about the humour and Lord Peter’s voice. 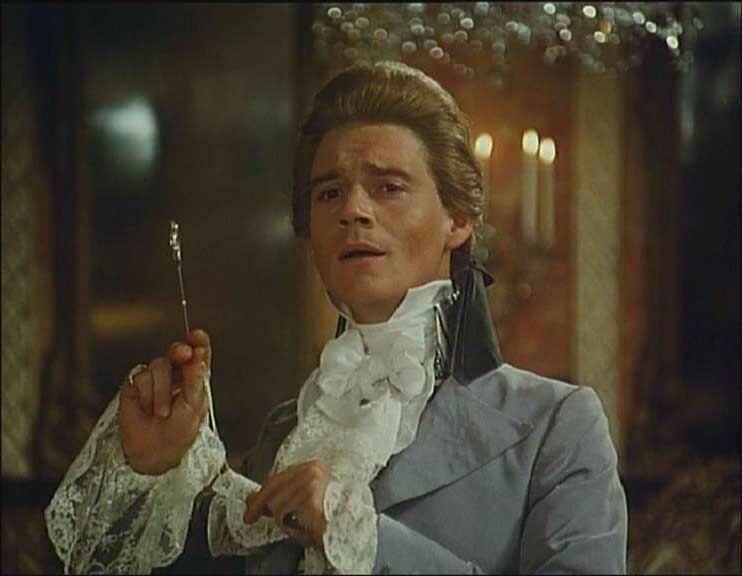 My very first thought about him was that he reminds me of Sir Percy Blakeney from The Scarlet Pimpernel (note the vague name similarity!) – foppish and, as seen by others, rather silly on the surface… but underneath there’s a lot more going on. The image is a shield. I’m not yet quite sure what Lord Peter is covering up, or protecting (I need to read more of the books), but I don’t mean that to sound sinister. I just think he’s very guarded and afraid to fall in love; afraid to be his true self. Also, as in Sir Percy Blakeney’s case, both men are clearly using their foolishness to disguise their superior intelligence and the good deeds they’re doing quietly in the background. I could totally picture Anthony Andrews as Lord Peter Wimsey, eyeglass and all! Ana: 2)Critical approach to gender roles and sexism. In other words: feminism for the win. There is the way the characters are so forthcoming about how they think about gender roles and how astute and critical those are. And because I didn’t know anything about Dorothy L. Sayers or these books (please don’t judge me) I was SO NOT expecting that these characters would be like that or that the meta would be so awesome and I loved the portrayal of female characters altogether. This book was written and is set in the 30s and I was like MY ASSUMPTIONS ABOUT THE 30S: they are all wrong. This just goes to show how what we think as “realistic historical portrayals of women” are our ignorance showing. The male detective, particularly when dressed as a workman, an errand-boy, or a telegraph-messenger, is favourably placed for ‘shadowing’. He can loaf without attracting attention. The female detective must not loaf. On the other hand, she can stare into shop-windows for ever. Ana: 3) The romance. Oh my sweet baby Jesus, this is quite possibly one of my most favouritest romances of all time. EVER. Their interactions are not only smart and witty but also respectful of each other’s boundaries. They start off on the wrong foot – with Peter proposing on a whim and being slightly pushy about it as Harriet is on death row and not exactly inclined to think about romantic entanglements – but the text and the characters acknowledge this. The best thing is how Harriet does NOT GIVE IN to his pushiness because she wants to be completely sure there is real love there, not anything that is simply about being grateful (because how could she not be grateful when he has saved her life). Suffice it to say that theirs is a difficult romantic relationship that is about negotiation above all and it takes nearly 5 years for them to sort their issues. In the meantime, our collective hearts get through the wringer BUT the way things are resolved (Gaudy Night: read it) in the end are as perfect as any fictional relationship has any right to be. ‘But he was a very fine writer,’ protested Mrs Featherstone. ‘How did you know what it was like?’ asked Wimsey, innocently. Ha! Lord Peter Wimsey is my hero. I absolutely adore the fact that Peter wants Harriet as his equal in every way– nothing more, nothing less. Philip wasn’t the sort of man to make a friend of a woman. He wanted devotion. I gave him that. I did, you know. But I couldn’t stand being made a fool of. I couldn’t stand being put on probation, like an office-boy, to see if I was good enough to be condescended to. I quite thought he was honest when he said he didn’t believe in marriage — and then it turned out that it was a test, to see whether my devotion was abject enough. Well, it wasn’t. I didn’t like having matrimony offered as a bad-conduct prize. I love this series. It pleases me. I’d give this one a 9 out of 10. Kaz: I agree 200%. I’d give it a 9 as well and I am already utterly hooked! Because I’m so happy to fall in love with something new, I’d like to share that love. I have a UK paperback of Strong Poison to give away – and to add a little sweetener to the pot I am also giving away my one and only ARC of THE STONE DEMON (US edition) which will be out in April 2013. This is the third and final book in The Iron Witch trilogy. Both books go to one winner, anywhere in the world. Thanks for letting me play reviewer for the day, ladies. Happy Smugglivus, one and all! Thank you Karen, this was super fun! Leave a comment here to win a copy of both Strong Poison and The Stone Demon (ARC). Giveaway is open to ALL and will run until Saturday January 5, 11:59PM (PST). Good luck! Oh, what a wonderful review. Commenting in the hopes of winning, but I’ll be checking out the books regardless. Lovely reviews! Well, I clearly have something to add to my to-read list! This book sounds divine. I was so excited when I saw you would review Strong Poison! Peter and Harriet’s romance is easily one of my all-time favourites. ? I love historical crime and will have to add this to my list. I went on a Agatha Christie binge last year and read 10 of hers. Peter and Harriet sound like a ton of fun. thanks for the giveaway. I’ve never read anything by Dorothy Sayers. I just read Gaudy Night this year and really enjoyed it as my first Sayers novel. Thanks for the giveaway! Having read and absolutely adored the latter half of the Peter Wimsey/Harriet Vane romance in Gaudy Night and Busman’s Honeymoon earlier this year, I clearly need to get my hands on and read the two earlier books in their epic romance in 2013. Their banter and interactions completely melt my heart. The secret Lord Peter is hiding is “shell shock”, the post WW I name for PTSD. In addition to Sayers’ insights into gender roles, she does a good job showing the realities of living with mental illness. There are many parallels between the writers Sayers and Vane; diving into one of her six biographies is rewarding. I found used copies of the first two books and read them years ago. Did you know Dorothy Sayers is the “Dorothy” Lois McMasters Bujold dedicates (one of the four dedicees, anyway) her book “A Civil Campaign” too? So it was based on this sideways recommendation that I read the books. Didn’t have the last books available and fell away from them – now I’ll have to go back, get ’em and start the series again! Dorothy Sayers is one of my all-time favorite authors; few mysteries are worth re-reading, in my experience, but hers are wonderful again and again. I just wish the digital versions weren’t so pricey — I would love to own them all for my Kindle or Kobo, but not at $11 each. The late-80s BBC adaptations of Strong Poison, Have His Carcase, and Gaudy Night are pretty good, too; Edward Petherbridge’s Lord Peter is a bit more to my taste than Ian Carmichaels’ (who played him in some of the non-Harriet book adaptations), and I love Harriet Walters as Vane. Historical crime fiction is A THING? I can’t believe I’ve missed out. It sounds terrific. Definitely checking this out. Great giveaway!! I’ve seen the The Stone Demon everywhere and have been dyyiinggg to read it!! I have high hope for this giveaway!!! Books sound good. Would like to read. Will add to my to be read list. I would love to read both books. They sound very good. Thanks for the giveaway. Keeping fingers crossed! I wanna win! I love crime novels too, although, I wish you were giving away the first one as I love to read things in order! I’ve been hearing about the Wimsey books for a while now, but that joint review might just be the thing that makes me pick them up. If only my TBR pile would shrink! Merry christmas..would LOVE to win a copy of these books..especially yours Kaz..
I’m hooked. Sign me up for the contest! Making sure these are on my To-Read List!! Normally I don’t read mysteries, but after reading the first book in Laurie King’s Mary Russell/Sherlock Holmes series this year for my book club, I’m ready for more. I definitely need to check this series out. Thanks for sharing. I havent heard of this one before and am now looking forward to checking it out. I can’t believe I’d never heard of Sayers’ books until this year! What a fabulous post thank you. This is why I read. That is another book to add to a very long to-read list, sounds great. Thanks for the international giveaway. What a great review! several new books to add to the stack! Thanks! I love mysteries, and this sounds fabulous! Welp, now I need to go read me some Dorothy Sayers, clearly! WHY DID NO ONE TELL ME SHE WAS SO AWESOME? “Strong Poison” is one of my favourite Sayers–this is a pretty cool giveaway. I’ve never read Dorothy Sayers, but now I have to! I’ve heard so many good things about this series, but for some reason, I’ve never picked them up. Clearly, this situation must be fixed. Sounds very interesting! Color me intrigued. I found Have His Carcase for cheap at a used book sale a couple of months ago, and I’d heard good things about Dorothy Sayers, so I thought I’d check it out. Some of the casual sexism of the time was a bit jarring (e.g. when Harriet is determined to speak to a male about the dead body she’s just discovered), but aside from that I really enjoyed it. Also, greatest opening paragraph ever. I absolutely adore the cover! So epic and vintage! Great interview. It’s great because it has resulted in me wanting to read a book I never would’ve glanced at twice prior to this time. My ignorance of Sayers and this series will soon be rectified. The romance in this book sounds brilliant and I’m now curious to see if I can work the mystery out or not! Love the Iron Witch Series!! 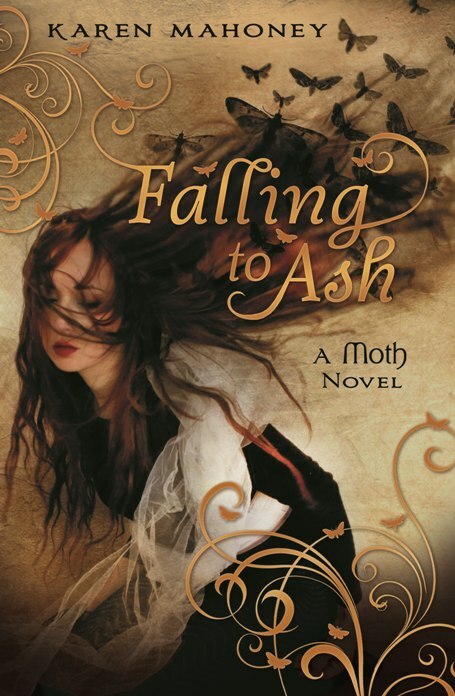 Can’t wait till Falling to Ash comes to the US???? I read the first 2 books of the Iron Witch series and cannot wait to read the conclusion! I just love Karan Mahoney’s writing style! It’s been awhile since I’ve read anything new and I have read the first two in the Iron Witch trilogy, so having the third, plus a new book would be awesome. Ah, can;t wait to read The Stone Demon!!!! It sounds like a series I would enjoy. I would be in absolute heaven to get a copy of the stone demon. Strong Poison sounds very interesting swell. I love Strong Poison! Such a great book! Strong Poison seems to be an interesting book but beginning by the 6th book seems unusual… except probably for books which order doesn’t matter. Well I’ve been eagerly awaiting The Stone Demon for quite a while now, and Strong Poison sounds like fun, too. I’ve never head of Strong Poison, but it sounds like a book I would love to try. I would love to read Strong Poison,but I don’t think there’s an italian version of this book.So reading it in english would be sooo great.And get me started on the stone demon…I can hardly wait for it to be out.April is not near enough. I would love to read Strong Poison,but I don’t think there’s an italian version of this book.So reading it in english would be sooo great.And don’t get me started on the stone demon…I can hardly wait for it to be out.April is not near enough. Sorry about the double post.But it said something happend while submiting the comment.I don’t know if it’s my computer that has problems. Strong Posion looks great, and I have been reading more detective/mystery novels as of late. However I simply cannot wait for The Stone Demon. It would be great to win. I like the cover of The Stone Demon. You’ve convinced me: Strong Poison is going to the top of the TBR. The stone Demons cover is so pretty! I’m not familiar with the Iron Witch, but am willing to give it a try. Lord Peter Wimsey I know from the PBS mystery adaptations, but have never read the original… must give it a try! This book sounds really intriguing and so well crafted, and the review is great too ladies! Thank you. Just finishing off The Wood Queen, though I don’t have enough time to read at the moment and so I keep getting to a really exciting bit and having to put it down! Grr! Based on your strong recommendation, I picked up the audiobook. I started it in the morning and finished it last night. Thank you. Never has cleaning house and ironing passed so quickly and with so much laughter. The book was narrated by Ian Carmichael who reads it in the perfect rapid fire delivery. No wonder he was pitch perfect ’cause he has played Lord Peter Wimsey in some of the BBC productions. I think that some of my favorite characters were the women from the “cattery”. I hope they appear in the other novels. Karen, your comparison of Peter to Sir Percy Blakeney from The Scarlet Pimpernel is astute and so apt. The Hipster Owl’s Bookshelf: Wikipedia lists all the Lord Peter Wimsey books. The ones that feature Harriet Vane are (1) Strong Poison, (2) Have His Carcase, (3) Gaudy Nights, (4) Busman’s Honeymoon, and (5) In the Truth of the Evidence. I read that Jill Paton Walsh completed one of Sayer’s unfinished manuscripts and subsequently wrote two other Wimsey books. Has anyone read them? It’ll be interesting to see what a 21st century sensibility does to the stories that are very much of their era.